I love cats obsession with boxes. 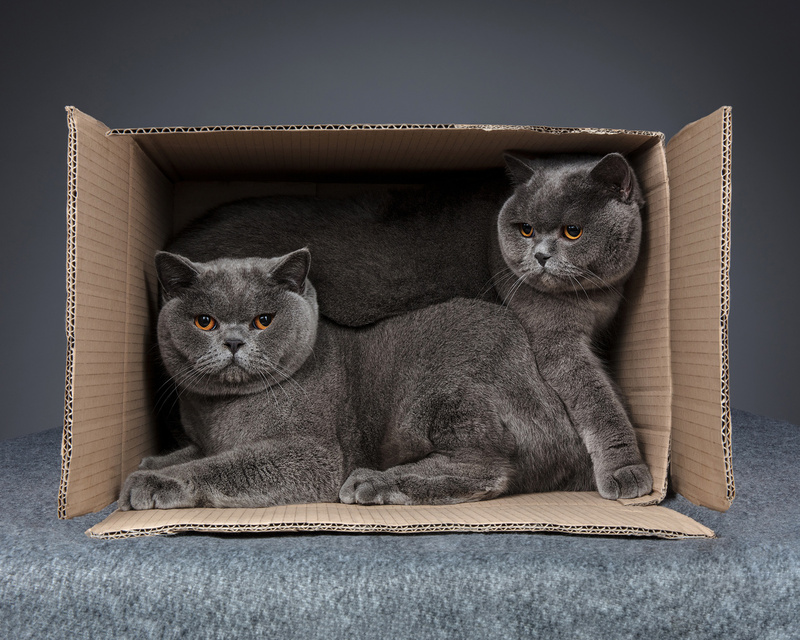 The ultimate jigsaw for cats when you have to share your favourite box! Cats are notoriously difficult to photograph in a studio and my approach tends to be more relaxed and going with what the cats want to do, rather than force them to pose. I study their character and understand what they like and this lead to photographing them in their favourite box which was initially brought along to the studio for comfort. Bit of a comical moment and we tried to position then so I could see both their faces but instead they ended up filling every nook and cranny with the bodies, bit of a tight squeeze!